Health is wealth. Health is very important for everyone. Without good health, no one can do anygood thing in life. Short term illnesses are normal and we come out of it naturally. Sometimes some people get affected by chronic illness and they don’t get any respite with treatmentsor healing methods. Long-term illness and chronic diseases are mainly due to the effect of past karma of people and their ascendants.In everyone's horoscope, there is one main planet responsible for good healthi.e Shani and Moon conjunct or Rahu and Moon conjunct etc. In such cases, the person will surely be affected by the bad health. If these planet’s influence is very strong and permanent then the person health will be affected severly andwill persist for a long time. If these planet positions and its influence are too strong then the illness becomes a long term in nature. Illness can be caused to a person by their bad habits like drinking, smoking and bad eating habits and so on. Only wrong planet positions will lead to such dispositions of a person towards bad habits. Every organ and its functions are governed by each planet and star. So an expert astrologer can identify the nature of the illness, its severity level. He can also identify the remedial measures which can change the person’s life forever. Vedic astrology has the health segment and it is very much possible to predict about Health problems and can provide remedial measures as well. Our expert astrologer Ramdial is well experienced in health services and his services include spiritual healing and Pujas for good health. Vedic astrology provides strong evidence for an astrological remedy for health issues. From ancient days people have taken respite in Astrology for getting health-related information and healing services. At the same time, people have been on the look out for the best and well-experienced astrologer. There had been many expert astrologers who would do astrological remedial measures for Health issues.  Our Pandit Ramdial is an expert psychic and spiritual healer. He will find the cause of health issues in horoscope and astrology to provide an astrological remedy to recover the health of the person, enabling him to live long healthy life. His remedial measures use nature’s material like turmeric, kumkum, neem and so on. He is good at Pujas and procedures for health restoration. Pandit Ramdial does special pujas for curing chronic diseases. People approach him after the failure from all sorts of treatments and trials. 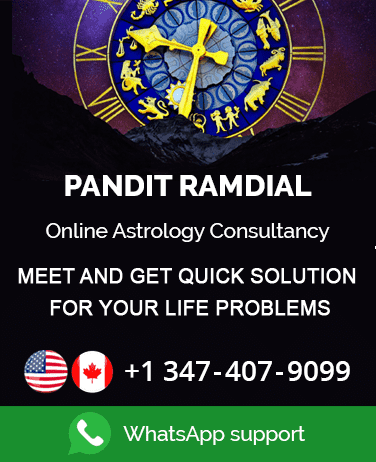 Once they meet Pandit Ramdial they feel that they have finally come to the right place and they will be fine for the rest of their life.If you approach astrologer Ramdial, he analyses your case in detail with respect to your health history, your habits, your past activities and your immune system holistically, then he will proceed with curing methods. Don’t wait and think just contact Pandit Ramdial for all your health-related issues.